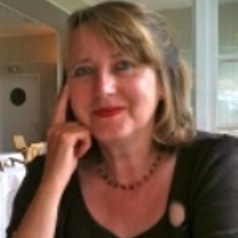 Lyn's current research focuses on narratives of class migration in French and British literature and sociology; contemporary French women's writing, especially Annie Ernaux, and life writing. She is currently publishing a memoir called 'Clothes Pegs: A Woman's Life in 30 Outfits' at http://www.clothespegs.net/. She also works on: media audiences; 'quality' media and fan cultures; radio soap opera and radio audiences online; the relationship between religion, spirituality and media in contemporary Britain; representations of 'suspect communities' in the British press and impacts on Irish communities and Muslim communities living in Britain. Lyn Thomas studied French and German at Oxford University (MA, 1976), Film and Television Studies at London University (MA, 1989) and obtained her PhD in Media and Cultural Studies from London University in 2000. She taught French and German in secondary schools until 1989 when she took up a post as Lecturer in French at the then Polytechnic of North London, now London Metropolitan University. At Londonmet she taught courses in contemporary French women's writing, popular culture and film, as well as contributing to the BA in Film Studies, BA Media Studies and MA Mass Communications. She was a founding member of ISET, (The Institite for the Study of European Transformations) and Deputy Director from 2003-2012. She was a member of the Feminist Review Editorial Collective from 1998 to 2011. She is a member of the AHRC's peer review college. She is Emeritus Professor of Cultural Studies at Londonmet, and joined the School of Media, Film and Music at Sussex University as Professor of Cultural Studies (0.2) in September 2013.